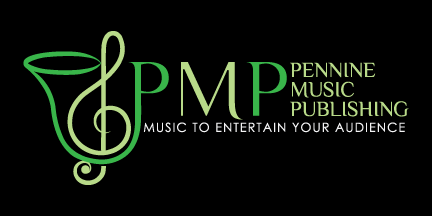 With Christmas concerts just around the corner, Pennine Music have released four fantastic new works which are certain to add a fresh feel to your festive concert programmes. Two of these titles are from the pen of Andi Cook. Thrown into the limelight with his stunning arrangement of the hymn tune Manchester last year, Andi is now in demand as a talented arranger. First comes the most stunning setting of the traditional Polish tune, Infant Holy. Warm chords, clever scoring and melodic solo lines are all on show here throughout the work as the piece builds to its powerful climax. This work would suit any Christmas occasion and is not one to be missed this year. The second work from Andi Cook this year is a new Flugel solo, In The Bleak Midwinter. This work skilfully brings two popular tunes to the carol ‘In The Bleak Midwinter’ together. Christmas solos are becoming more popular and this beautiful Flugel solo is a welcome addition to any Christmas concert programme. With sympathetic scoring throughout, this work is not technically demanding on either the band or soloist, but relies on lyrical playing throughout. A perfect addition to any soloist’s repertoire. If your and is looking to add something different to your Festive programmes this year, the new release, A Spanish Christmas could be right up your street. This light-hearted work features well-known carols of a Spanish flavour. The work contains three carols, Fum,Fum,Fum, A la Nanita Nana & Arre Borriquito. The music is skillfully arranged in an entertaining work that is sure to engage all players and draw in your audiences as their feet tap along to the Spanish feel of Christmas. The final release this year is a very clever Christmas medley entitled Yuletide Rhapsody. This work is a great way to treat your Christmas audiences this year. Yuletide Rhapsody is a journey through some festive favourites, put together as you’ve never heard them before. Featuring all sections of the band in a variety of different styles, the work also throws in a few surprises to keep audiences on their toes. A wonderful variation on the traditional Christmas works. 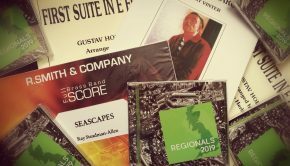 As well as these new titles, fresh new audio samples have been added to many of their works as well as PDF score samples. 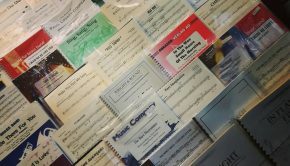 All of these are available to view at www.penninemusic.com . 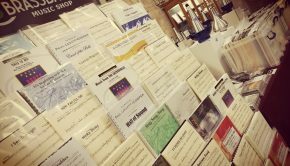 Pennine Music will also be trading at the Rochdale Contest this weekend where all these new titles will be on offer as well as hundreds of other titles.